Fellowship Reviews: For What It's Worth: Where's Fables? For What It's Worth: Where's Fables? Bill Willingham must be pissed. In the land of remakes, reboots, and re-imagines, we forget about the other r word - rip offs. While Willingham's Fables (winner of a ton of Eisners - comic's equivalent of the Oscars) has yet to see the light of day as a TV series, there will be not one, but TWO TV shows on next season that have a similar theme. The premise of Fables for those who have not read it (you should) is various characters from fairy tales and folklore – referring to themselves as "Fables" – who have been forced out of their homelands by "The Adversary" who has conquered the realm. 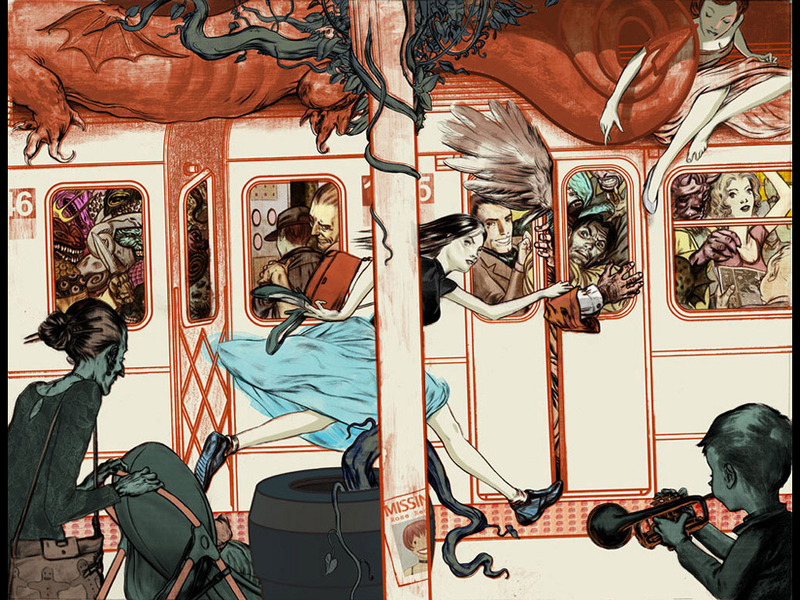 The Fables have traveled to our world and formed a clandestine community in New York City known as Fabletown. Fables who are unable to blend in with human society (such as monsters and anthropomorphic animals) live at "the Farm" in upstate New York. Here is the premise of NBC's new show, Grimm - "a detective whose mission is to protect humans living in a world where Grimm's Fairy Tale characters actually exist." Grimm is by Jim Kouf (Angel) and David Greenwalt (Buffy the Vampire Slayer). ABC has a new show coming called Once Upon A Time. The premise to this one? A son of a bail bonds collector believes her to be the daughter of Snow White and Prince Charming. According to his book of fairytales, they sent her away to protect her from the Evil Queen’s curse, which trapped the fairytale world forever, frozen in time, and brought them into our modern world. And the boy lives in the town Storybrooke, a place where characters are alive, even though they don’t remember who they once were. Lost executive producers Adam Horowitz and Edward Kitsisare behind this inventive series. The premise of these two "new" shows were done in Fables!!!!! (smh) I understand that Hollywood is turning to comic books for ideas, and ripping off ideas is not a new thing, but this is very disappointing. Considering BOTH networks had tried to do a series based off the original, they decided to go the cheap knock-off route. Geez.